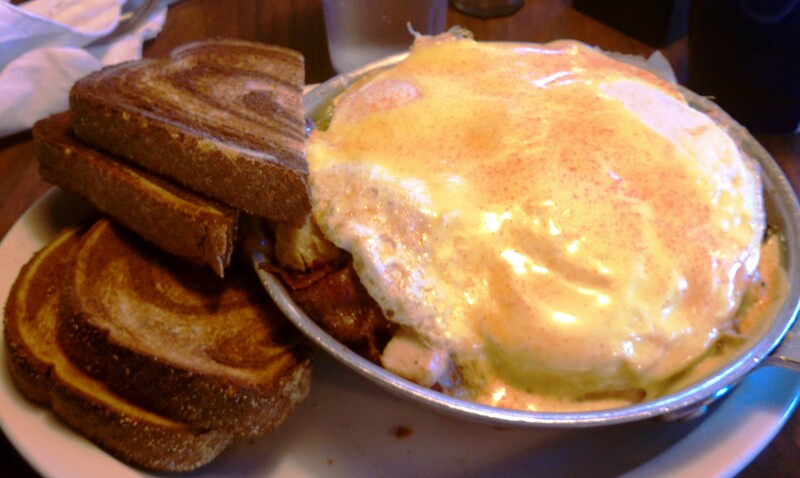 "Cooper" $7.77 A skillet of seasoned redskin potatoes, onion, green peppers, bacon, turkey and cheddar cheese topped with three over-easy eggs and Hollandaise, served with your choice of toast. Sure enough, most of the menu items have at least one kind of meat. DH (Dear Husband) ordered the Cooper, pictured above. I went with the Turner. 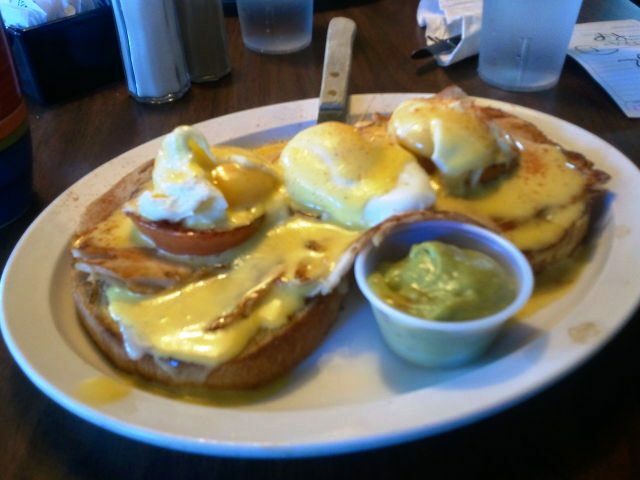 "Turner" $7.50 English muffin toast topped with Swiss cheese, grilled tomatoes, turkey, poached eggs, Hollandaise sauce served with a side of guacamole. The food was excellent, very well seasoned and very filling. DH got what he calls the “meat sweats,” which is when you eat a lot of meat and then it suddenly hits you and you feel extremely full. The coffee, of which you get the option of hazelnut or regular, was good and the server kept it full. The atmosphere was very laid back. Not quite as crunchy as Gaia but not stuffy either. Not living “in the city,” I did feel like a bit of an outsider since I had no idea who some of the menu items named after the Hall of Famers were. I’m guessing East Towners? 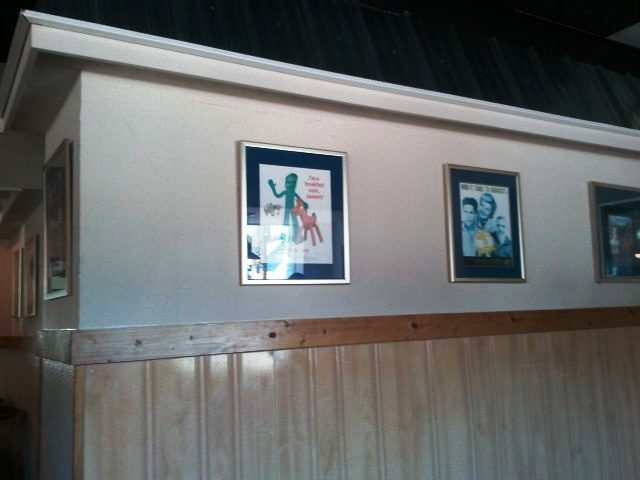 Another sort of weird thing is that the owner had pictures of himself photoshopped into lots of advertisements plastered all over the wall. Narcissistic much or maybe a joke I’m not getting? Overall, I’d say it really is one of “the perfect breakfast” spots in Grand Rapids. Don’t plan on having breakfast for dinner though, since they’re only open 6:30 am to 2:30 pm on weekdays and 7:00 am to 4:00 pm on Saturday and Sunday.